Pickomino did not initially attract my attention because its childish cover, undescriptive title, and emphasis on dice shouted, “Not for you, Lenny!” But the Good Doctor’s name on the box top was enough to get me past these initial biases. Was I right to give it a look? Find out below! 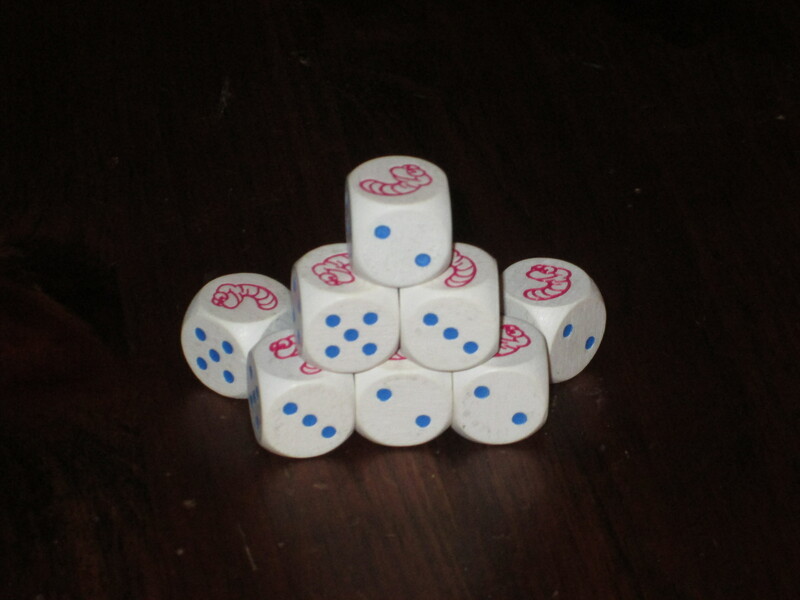 Pickomino is a push-your-luck dice game for two to seven players. Players are chickens trying to collect the most worms from the grill. The player with the most worms at the end of the game wins. The tiles/dominoes in Pickomino. The tiles are numbered 21-36, with the fewest worms available on the low tiles and the most worms on the high tiles. Players place the tiles (numbered 21-36) in order in the center of the table. On a turn, players will roll the dice. Each time they roll, they must set aside all dice of one value. (Each value may be set aside only once.) Then, they may either claim a tile (as long as at least one set-aside die shows a worm face and the sum of all set-aside dice matches or exceeds a tile in the center or matches another player’s tile) or roll again. Claimed tiles go on top of each other, forming a stack. Players may keep rolling until they either claim a tile or bust. If players bust, they must return the top tile of their worm stack to the center of the table and turn the top value tile in the center face down. The game ends once all face-up tiles have been claimed or turned face-down. The player with the most worms on claimed tiles wins. Note: This game was out of print for a while in the US. 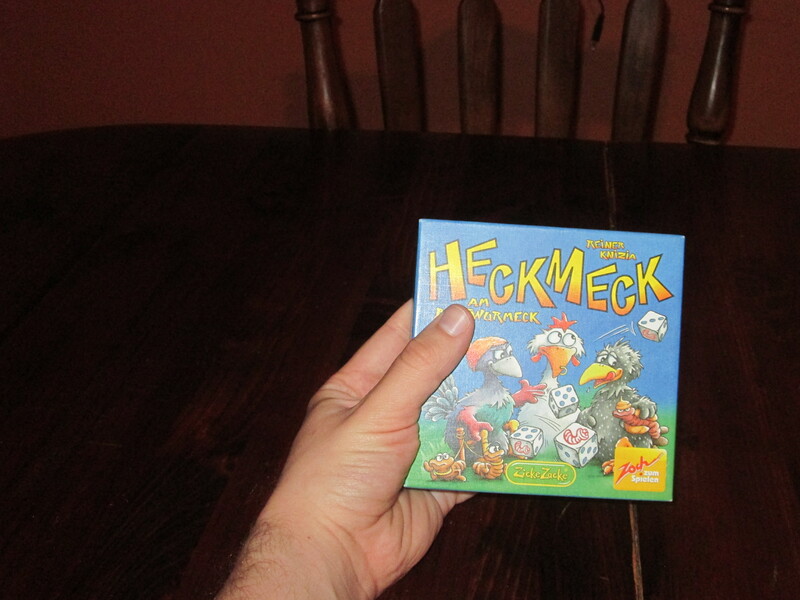 The pictures in this review are from the Zoch multilingual edition, Heckmeck am Bratwurmeck (which is a much better title, in my opinion). Still, I’ve referred to the game by its initial English name throughout, even though the most recent printing has inserted a pesky hyphen (Pick-omino). Pickomino is Reiner Knizia’s take on a push-your-luck dice game, which is exactly what it sounds like. Dice games are typically not my favorite. While I enjoy the tactile nature of rolling dice, “dice games”–a title I reserve for short, simple dice games, often of the Yahtzee variety–usually don’t leave me satisfied. Indeed, until several months ago, my collection had only two or three games that included dice at all–Can’t Stop, Camel Up, and Escape: The Curse of the Temple. 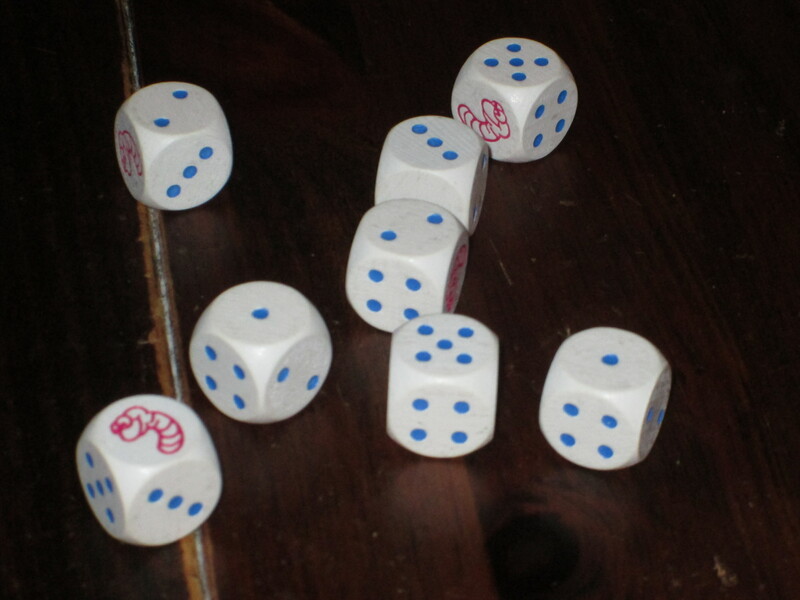 The dice in Pickomino. 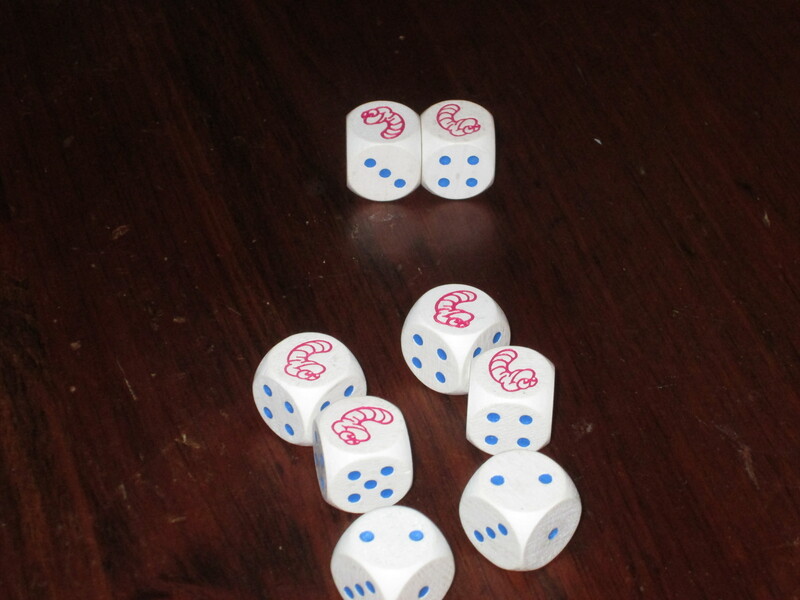 The dice show numbered sides 1-5, and a worm occupies the sixth side. 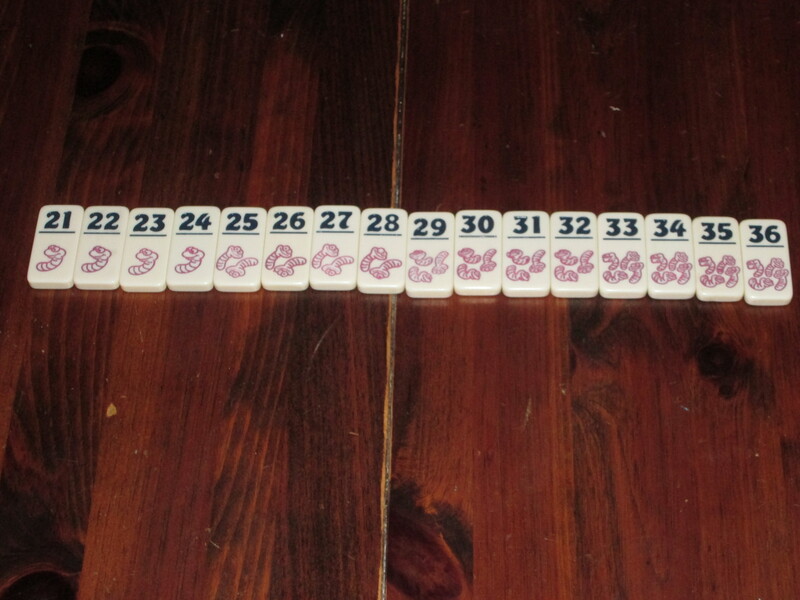 Pickomino follows the Yahtzee model in some ways: you roll dice, you set some aside, and you reroll the rest. But Reiner Knizia has, in his usual way, found a way to make this simple structure compelling again. First of all, there’s the typical Knizia twist: you can claim a tile if and only if you have set aside at least one worm face. The worm face is value 5, so players will need to wait to set aside their 5s and worms until they roll lots of them at once in order to have a shot at the higher-valued tiles. But if players wait too long to set aside a worm, they are in danger of going bust. I have busted many, many times angling for that elusive worm that I should have set aside earlier in the round. It’s inevitable: whenever you set aside worms, you will roll more worms in your next throw. Pickomino is also compelling in that it is a full-on push-your-luck game that works. In order for a push-your-luck game to remain compelling, each roll of the dice has to offer a razor’s edge of risk between the benefits of success and the hardships of failure. The rewards must encourage pushing your luck, but the penalties for failure should be suitable to give players pause before they give the dice another shake. In Pickomino, going bust is devastating–at least if you have anything to lose. Not only do you turn over the highest tile up for grabs, but you lose the top tile on your own tile stack. If the tile is low in value and has only one worm on it, that’s not so bad. But higher-value tiles on the stack usually encourage more conservative play. There’s an interesting dynamic of pushing your luck and also holding something back, usually alternately. It’s possible to bust anytime you roll the dice, but the possibility increases each time you decide to roll them bones. It’s not very likely to roll eight 2s on your first roll (making you unable to claim a tile); it’s much more likely to roll only values you’ve set aside once you’ve set aside three or more values. And you’re also more likely to bust as the game progresses: as more tiles are claimed and buried and more tiles are turned over due to players going bust, there are fewer tiles up for grabs, which can force players into riskier play than they might be comfortable with. Pickomino offers a good balance between luck and skill. The game involves rolling dice start to finish, so I won’t pretend that the game is all skill. But there are good decision points in the game. Each roll presents the player with a new decision. For example, on a first roll, you might set aside two 5s. Ten is a decent starting score, and you still have six dice to work with. But what if you set aside the 3 instead? Sure, your score is only 3, but now you have seven dice to work with and the possibility of rolling three 5s, or even four. (Or none. But accentuate the positive!) There’s enough skill involved that players can applaud their clever decisions and enough luck involved that they can curse their dice. I count this as a big win in a push-your-luck game. A sample roll. In this example, a player could set aside two 1s, two 2s, one 3, two 5s, or one worm. While Pickomino strikes the right risk/reward and skill/luck balance for a game of this type, the elephant in the room in any discussion of push-your-luck games is Sid Sackson’s Can’t Stop, which, in my estimation, is still best in class in the genre. Pickomino is fun, and players seem to relish the agonizing decisions of each throw of the dice, but I have yet to find a consistently raucous competitor to the good times Can’t Stop offers. Even so, Pickomino has its benefits above Can’t Stop, and it has its own place in my collection. First, Pickomino caters to a different audience. Can’t Stop can accommodate two to four players; Pickomino can accommodate up to seven. While I’m not sure I’d play with that many if I had my druthers, the flexibility in player count is a good selling point. Three-player Can’t Stop is optimal to me, considering that other players have very little to do on another player’s turn (aside from shouting “BUST!” at the top of their lungs), but Pickomino has more going on in the meanwhile: tiles can be stolen, and players can silently evaluate the roller’s dice, considering what they would do in that situation. Pickomino also comes in a much smaller box than Can’t Stop. It would be difficult to cram all of Can’t Stop’s markers, dice, and stop-sign-shaped board into a tiny package, but Pickomino fits all its nice domino tiles and dice into an almost pocket-sized box. Its size makes it an ideal filler because it takes up space in your bag commensurate with the space it might occupy in your evening. 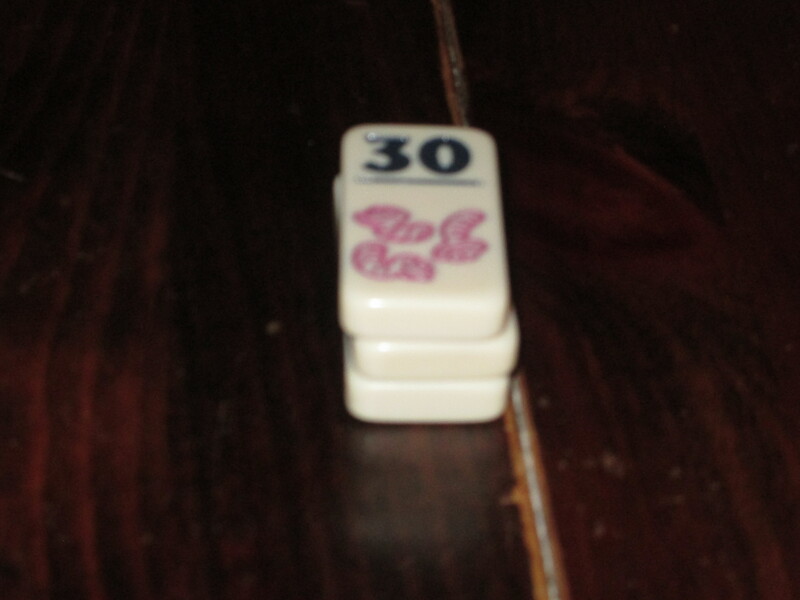 And along these lines, like most light dice games, Pickomino makes a great appetizer but a lousy main course. The decisions are compelling as far as they go, but they aren’t usually compelling when compared to the main event of a game night. Games of Pickomino are best when they last fifteen to twenty minutes. With more players, the game takes longer, and it has the potential to overstay its welcome. While the game is advertised for up to seven, I probably wouldn’t play with that many unless a gathering was very casual, and I think the game plays best with three or four. I also wouldn’t play several games of Pickomino back to back. But that’s not a knock against Pickomino; I feel that way about most fillers. I love the small box for this game. The components in Pickomino are excellent for the price. The dominoes are sturdy and clearly numbered and illustrated. It feels satisfying to claim one and devastating to lose one. They stack well, and it’s easy to see at a glance how many tiles each other player has (even if the worms on those tiles are hidden). The dice are a mixed bag, depending on your preference. The dice are wooden and light. While I’m usually in favor of wooden components, the dice in Pickomino are perhaps not well suited for the gameplay. The dice see lots of rolling, and even after a few games, they seem to carry the residue of previous participants. They’re workable, but I’ve heard of others ordering a custom replacement, and I’m considering doing something similar for my set. Which that, in itself, should tell you how I feel about Pickomino. It’s the kind of game I intend to keep around. Its small size and playtime belie the compelling push-your-luck game underneath. Pickomino is simple to teach, easy to grasp, and fun to play. 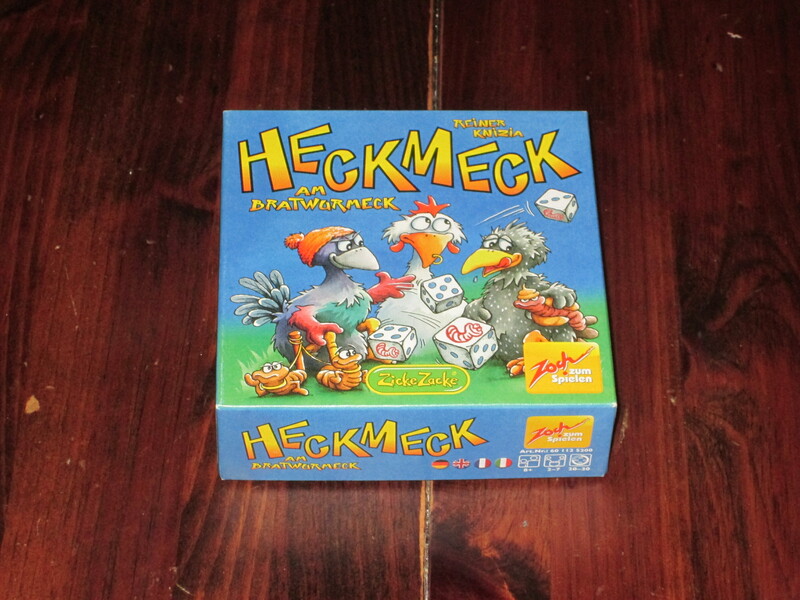 Don’t let the chickens and worms fool you: this is a game for both older children and adults.